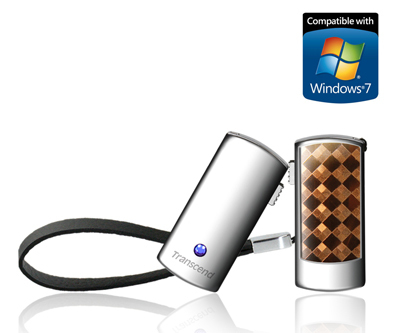 The latest member of Transcend’s compact JetFlash V95C USB flash drive series, comes in a 16GB edition, features zinc alloy case with an embedded Swarovski blue crystals and a retractable USB connector. The JetFlash V95C has dimensions of 40.6mm X 18.4mm X 7.2mm, weights 14g, have a 15MB/s transfer speeds for read and write sped of 7 MByte/s and each JetFlash comes with a refined leather strap. Backed by a lifetime warranty it will coast you around €35.